NOTE!!!! The new album, "Young For A Longo Time" be available for DIGITAL DOWNLOAD on April 14th at MIDNIGHT! 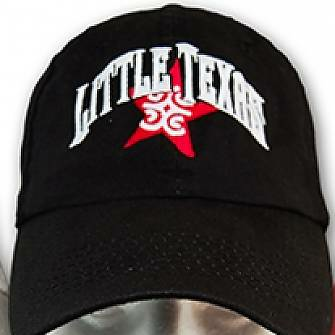 LITTLE TEXAS was conceived in Nashville, Tennessee, by a handful of guys in their early 20s who were willing to do just about anything to bring their brand of rockin’ country to the forefront of the music industry. Before hitting the big time, the band crisscrossed America for three long years, playing every bar and honky-tonk from Myrtle Beach, S.C., to Los Angeles, Calif., all the while writing songs that were destined to change the sound of modern country and perfecting a stage show that has been critically acclaimed worldwide. Known as “the hardest-working band in country music,” it was not uncommon for the band to play more than 300 shows a year without a bus, without a driver, without tour support from a label. They simply made it on their own, and that seasoning is evident even today. Their first radio release, “Some Guys Have All The Love,” became a Top-10 hit, as did their next single, “First Time For Everything.” After the album First Time For Everything was released, five singles reached the top of the charts. The second album, Big Time, truly was the big time for Little Texas. The sophomore release, which has sold more than three million copies to date, spawned three No. 1 singles—“What Might Have Been,” “God Blessed Texas” and “My Love”—and captured the group's first CMT Award, a Billboard award, a Radio & Records award and a Grammy nod. 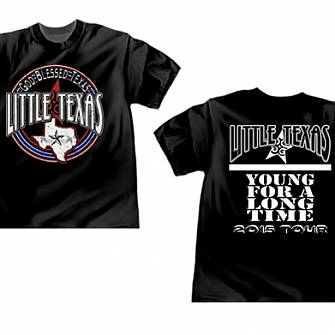 Little Texas released the album Kick A Little, and their first true arena-headling tour began, supported by Keebler and newcomer Tim McGraw. with opening act BlackHawk. The tour and the album were huge successes, highlighted by shows in Detroit and Minneapolis fully selling out the arenas just days after their heroes, The Eagles, had played the same venues. The tour continued on through 1995, finishing as the fifth largest-grossing tour of the year, and over the course of ’94 and ’95, the band received two more Grammy nominations and released Little Texas–Greatest Hits. 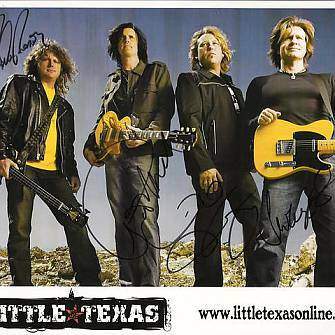 After the self-titled Little Texas album was released, Little Texas, the players, needed a break following years of performing a relentless concert schedule. Thus, at the end of that year, each member went his separate way, opting to spend time with family and friends, and work on individual projects. 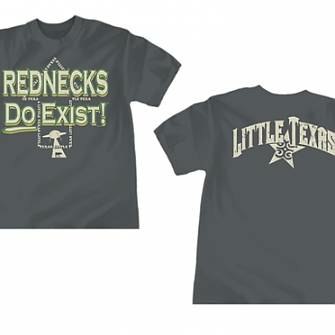 Today, though, Little Texas is back! The multi-platinum band’s four original members—Propes, Porter Howell (lead vocals and lead guitar), Dwayne O'Brien (vocals and rhythm guitars) and Del Gray (drums)—have rebuilt the franchise with a completely new sound, and with two recent albums under their collective musical belt, they couldn’t be happier to be back on tour and bringing fans what they do best. ©2009 - 2019 Market America, Inc. or its affiliates. Listen to Music while you Browse! Click Play on a song to add to your playlist.